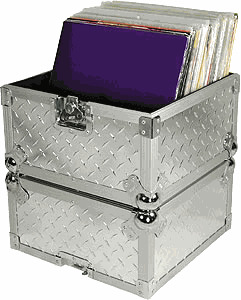 The unique half-split design of this case makes sorting through your LPs much easier. Remove the top half, and split your LPs equally between the two to thumb through your music even faster! The ATA rating assures that your music travels safely by airline, and features recessed hardware and ball corners. Holds up to 100 LPs.